WTN: This year the winter has been piercing and unexpectedly prolonged. Every year while around the beginning of February, the cold more or less subsides in the Central Indian plains, this year it has been different. 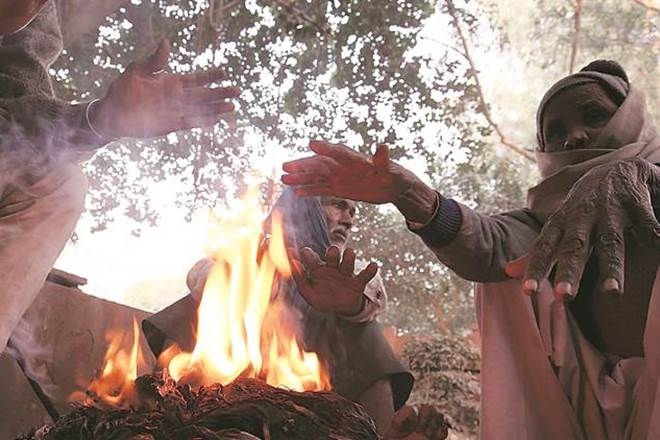 We are in the mid second week of the February month and temperature in cities like Bhopal is dipping to six or seven degrees, which has hardly been seen in the last ten years or so. While it may be good for winter vegetation but overall this is an aberration and not a very healthy sign. Every season has a time span and by that time it must start receding. If summer continues till December and monsoon continues till October, then those would be called unusual and unhealthy. In the same way if winter continues till March, it is not normal, especially in these parts, where even in peak winter the temperatures hardly go below eight or nine degrees. The more worrisome trend this year has been the irregularity in the temperatures. Once there is a rise and again in a week, it dips. This has been going on for quite some time. Just when it was thought that winter is over as temperatures had started rising, sudden snowfall in the north, pushed in fresh chilling winds that brought back winter again. The recent hailstorm in Noida that painted the city white is a phenomenal happening that has surprised all. People might be enjoying ‘Shimla’ in Noida but such extreme weather swings are not normal and wanted. This can disturb the ecological balance. Prolonged winter also means longer flu season. Heat waves in places where they are not expected and cold waves where it is usually extreme hot have become common occurrences over the last few years. The cavity under the Antarctic ocean discovered recently adds teeth to the claim that mother nature is bleeding and extremities will only rise. The hole in the Ozone layer is only getting wider. Millions of people thus stand vulnerable and exposed to weather extremes, especially in poorer countries like India and with these aberrations becoming the new normal, we have to be prepared to face them with minimal loss to life and property. Extreme rains and floods, or scanty rain leading to droughts are only going to be common in the coming years. We need to have alternate arrangements to wade through these situations. More investment in technology and research is required and so is their innovative implementation so that large sections of the population are benefited. More people are needed to be brought under some sort of social security cover so that they survive the natural adversities.